Stephen Ivens is seen in this undated photograph provided by the Burbank Police Department. A body found behind a church in Burbank, Calif. is that of missing FBI agent Stephen Ivens, police said on Tuesday. Police found the body of the 35-year-old agent, who has been missing since early May. Two hikers, who smelled a suspicious odor, discovered the body on Monday night behind a church on Scott Road in Burbank and reported it to police, said Burbank Police Department Sgt. Darin Ryburn. Ryburn said police have notified family members of the discovery and believe it's Ivens' body but are awaiting confirmation of the identity from the coroner’s department. "Every indication is that it's Stephen Ivens," Ryburn said. Ivens' boss at the FBI was at the scene as were other FBI colleagues. A weapon was recovered. Coroner's officials were working to confirm a cause of death. Ryburn said it appears the body may have been at the location since Ivens went missing 67 days ago. 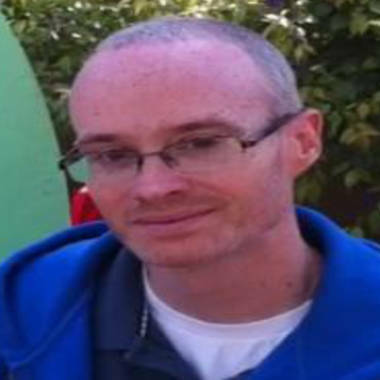 Ivens was last seen leaving his Burbank home on May 10. An avid hiker, Ivens was thought to have ventured into the nearby hills after leaving home distraught. NBCLosAngeles.com is operated by KNBC, NBC News' station in Southern California.